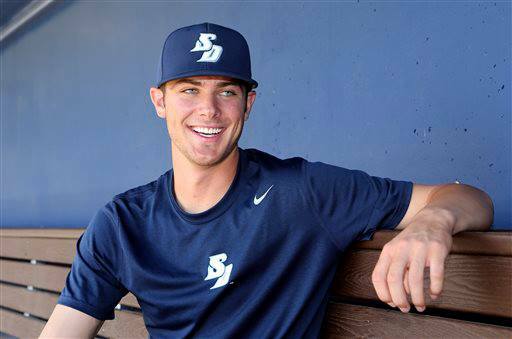 Tomorrow is the big day for collegiate baseball players across the country, and for at least one ballplayer from San Diego especially, the expectations are very high to be picked in the 2013 MLB Baseball Draft. Kris Bryant from USD (1B, 3B) is projected my many nationally to be picked in the top 5, or even at the #3 spot by the Colorado Rockies as suggested HERE by BleacherReport.com. 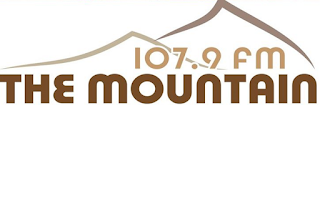 Kris will be on the air prior to the draft ONLY on San Diego's KRLY 107.9 The Mountain at 2:30, Thursday afternoon with Jack Murray on his show "Sports Slam" that airs 2-4PM. Following the draft, Steve Dolan will cover the first round of the draft at 6PM. Steve will also talk high school baseball, Padres and Chargers. Listen in at www.TheMountainFM.com and of course at 107.9 FM.